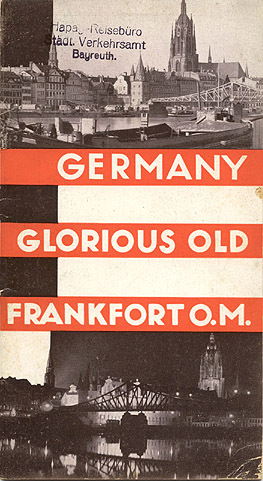 Travel brochure for "Germany - Glorious old Frankfort O.M.," circa 1928. Published by the Frankfurt Tourist Agency. Printed by "Carolous-Druckerei, Frankfurt a. M."